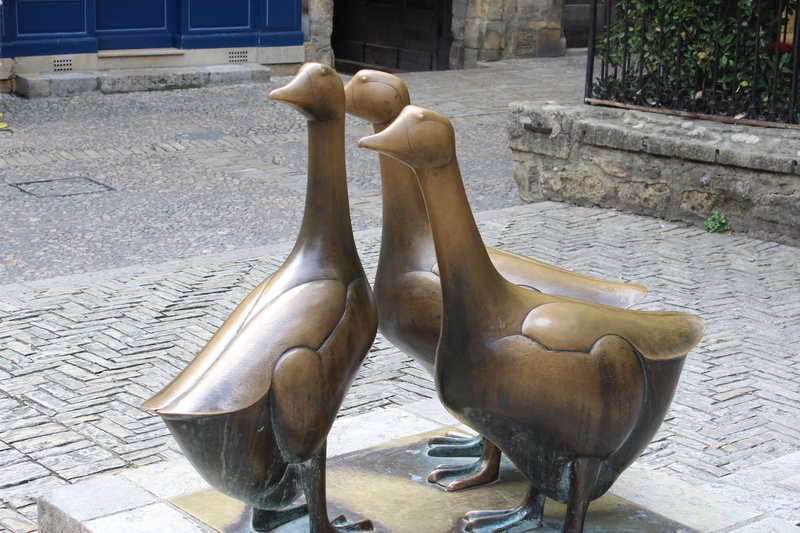 It’s been great weather for ducks, which is quite fitting here in the Dordogne. Let’s just say, there’s a few of them around. Fields full of them actually. And, as we’ve discovered, chefs have come up with hundreds of ways of preparing le canard – including a delicious gizzard salad (a must for vegetarians, not). Immersing yourself in the history of this place is inevitable – and wise, if only to avoid food and the temptation to buy real estate. We walked the steep cobblestone streets of the stunning medieval village of Beynac and up to the fortress above the village. Cleverly built on the edge of a cliff like an eerie, they had an eagle’s view of the valley and only two sides of the fortress to defend. Château féudal de Beynac is such an impressive place and not surprising it was the set for Luc Besson’s Jeanne d’Arc (1999). Then there’s the impenetrable La Roque Saint-Christophe – a town built into the cliff-face along five terraces in the Middle Ages. EB and I found this place fascinating, with its smokehouse, cowshed, village kitchen, houses, a church and more – all carved into the rock. We also visited Grotte de Lascaux, site of the most famous Paleolithic cave paintings in the world. The original cave was getting loved to death, with over a 1,000 visitors a day in the high season. All that breathing and body heat, as well as pollen transported in on shoes, was destroying the artwork. So a perfect replica of the cave was built and the paintings precisely reproduced in Lascaux II, making this an awe-inspiring place to visit. These paintings are so beautifully proportioned, colourful and even three-dimensional it literally takes your breath away. You get a sense, in the Dordogne, that there really is nothing new under the sun – that humankind has been around for a very long time. And that they were smarter and had more ingenuity than we might sometimes think. Feeling a bit castled-out, we decided to take a relaxing stroll through the countryside. Which was only ruined by having to hit golf balls along the way, and go off-piste to find the miss-hit ones in the magical forest lining the course. It was a seriously beautiful course and the wind was just chilly enough to make you feel alive. And the golf? EB played with his usual panache, but me? Well, when I pulled a pitching wedge out of the bag, with the ball 60 metres out from the flag, it was anyone’s guess where it would end up. Instead, it soared… and dropped within a foot of the hole. There was an eerie silence, if only because EB had stopped talking. It was a truly historical moment – me hitting the ball well, not EB being silent. To put this in context, my skill at golf is similar to a vegetarian cooking the perfect steak (I can’t do that either, by the way). I have to admit, the French air definitely agrees with me. It was a perfect day under cloudy skies. 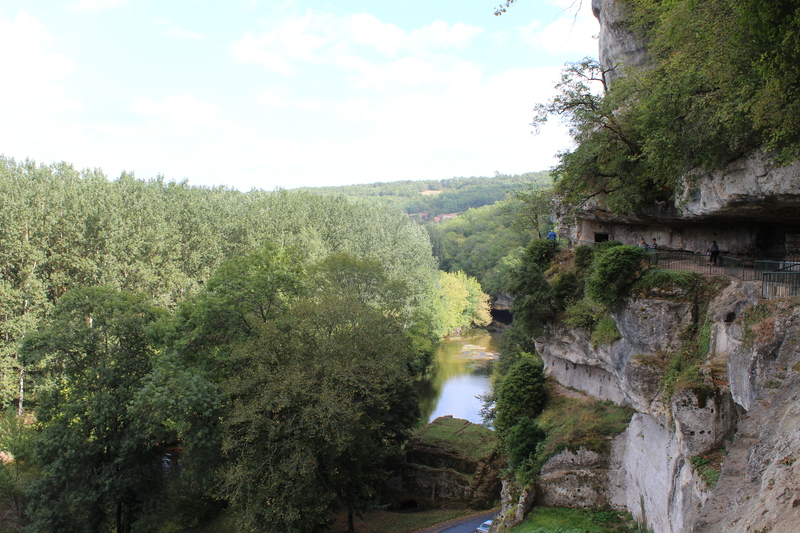 All we could wish for was a little sunshine, because the Dordogne is waiting to be paddled… and we don’t have a lot of time to hang about. 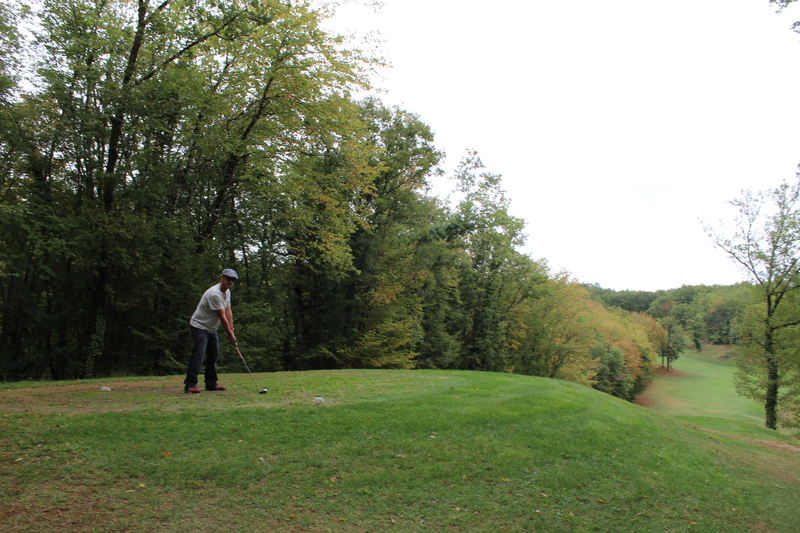 This entry was posted on Thursday, September 27th, 2012 at 4:59 pm	and tagged with Dordogne, golf, Sarlat, vacation and posted in Dordogne, France, Travel, Uncategorized. You can follow any responses to this entry through the RSS 2.0 feed.